I created a few cards for the Tim Holtz Facebook Live event last week. I thought I could share the cards here to give you a better view and show you how I did it. My number one rule about making Christmas cards is that they need to be easy so I can make multiples. This card is just that...easy! It also uses Ranger products you probably already have in your stash. 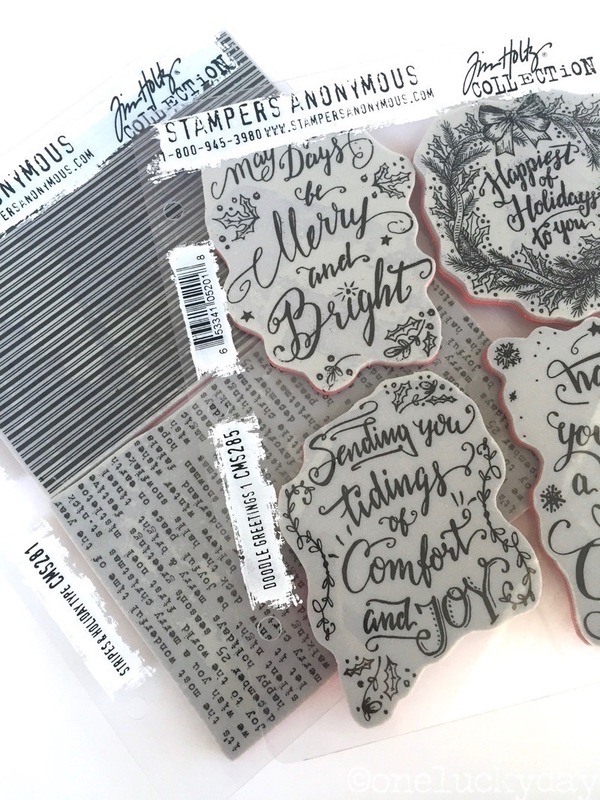 I am using two of my favorite new stamp sets from the Tim Holtz/Stampers Anonymous Christmas release, Doodle Greetings #1 and Stripes and Holiday Type. I cut the largest size of the Stitched Ovals using Distress Watercolor Cardstock. 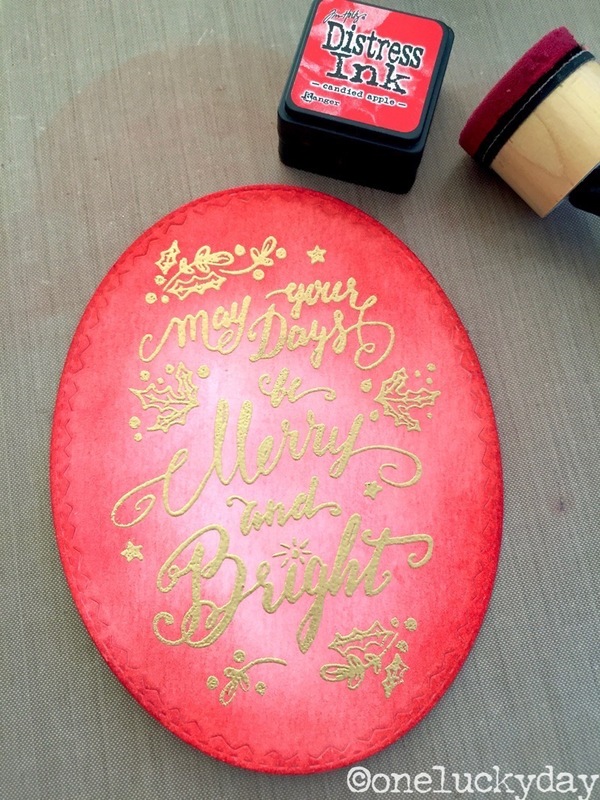 Then stamped the image using Distress Embossing Ink and heat embossed it (I never tire of seeing the dust turn to shiny gold!). Once the embossing was cool, I made mixed water and Fired Brick Distress Ink on my craft sheet. 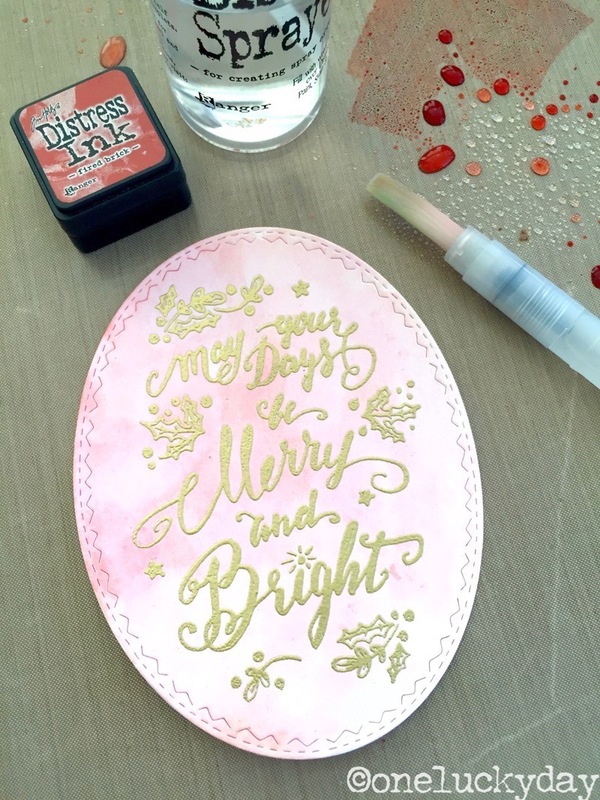 Using the broad Water Brush, I create a wash of color over the Watercolor paper. 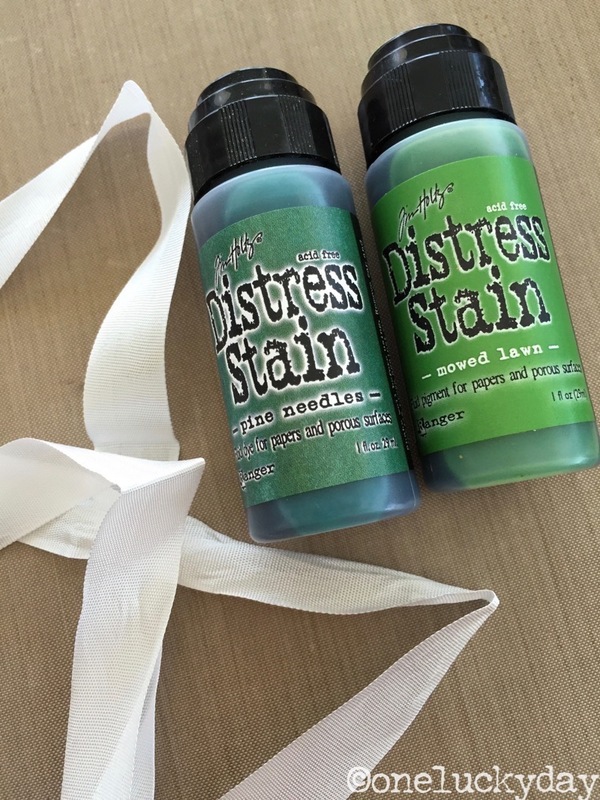 Once the wash is completely dry, you can start the inking process. 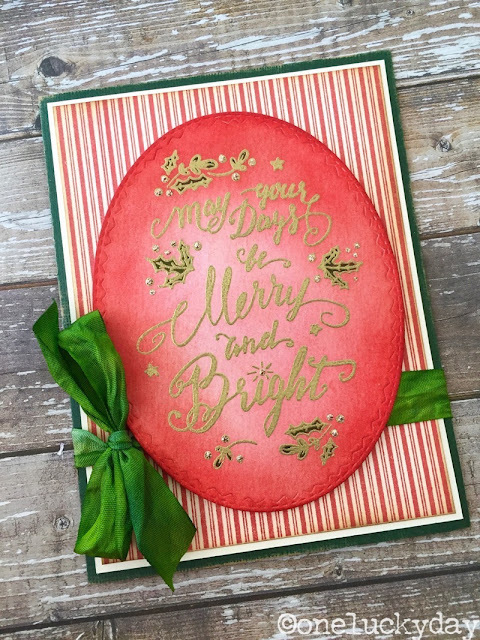 Start with Festive Berries and ink all around the oval but not quite to the center. 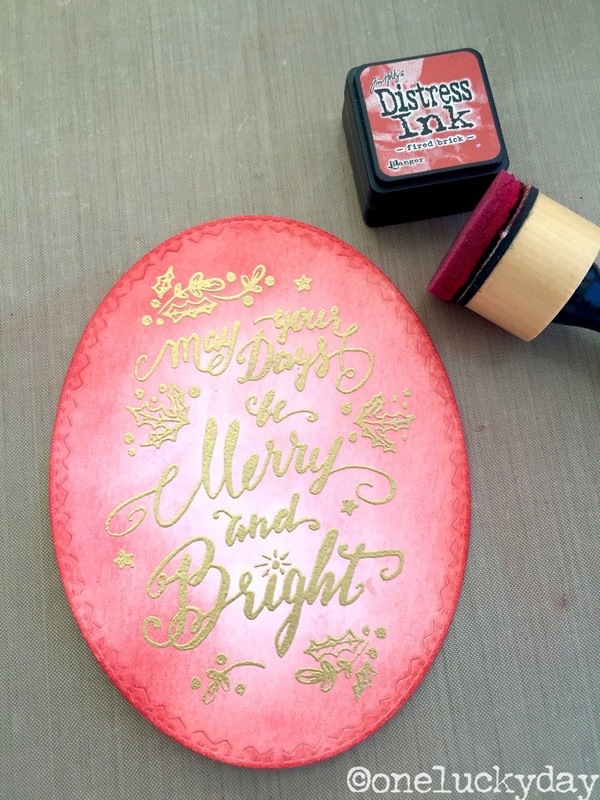 Change to Candied Apple and go back around the oval enhancing the color. Use a Mowed Lawn Distress Marker to color in the leaves. 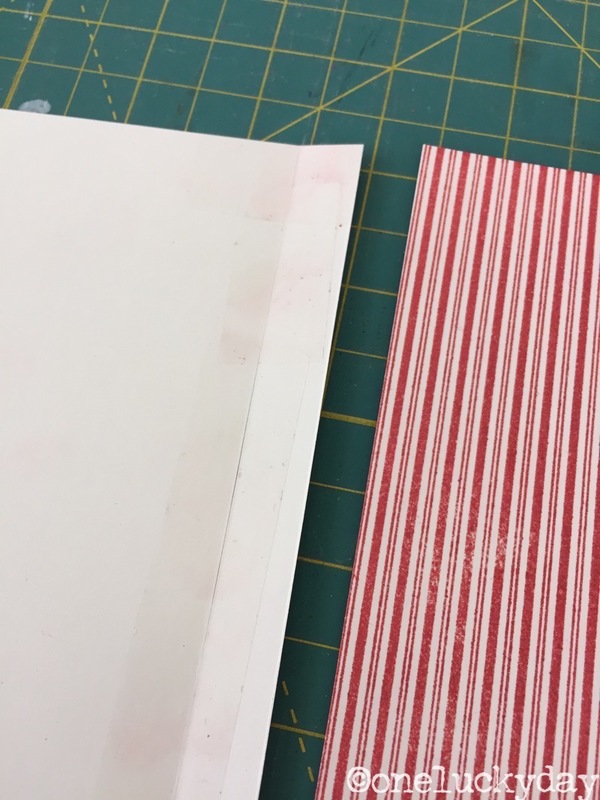 It looked good just embossed on white, then it looked good with the light wash, but it looks great with the bright red ink! I stamped TWO pieces of Mixed Media Cardstock with the Stripes stamp. The reason I needed to stamp it twice was that my card front needed to be wider than the stamp image (to accommodate the Stitched Oval). 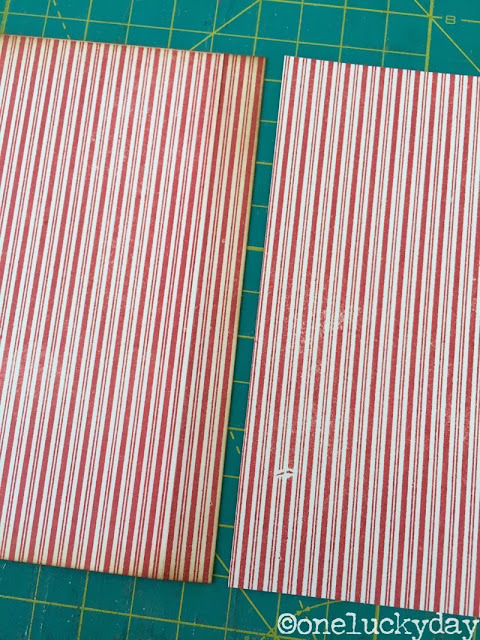 I cut right along one of the thick lines, then joined the two pieces with tape. The card on the left is my card front that has been pieced. Can you tell where? I bent it just slightly so you can see the joining of the two pieces. 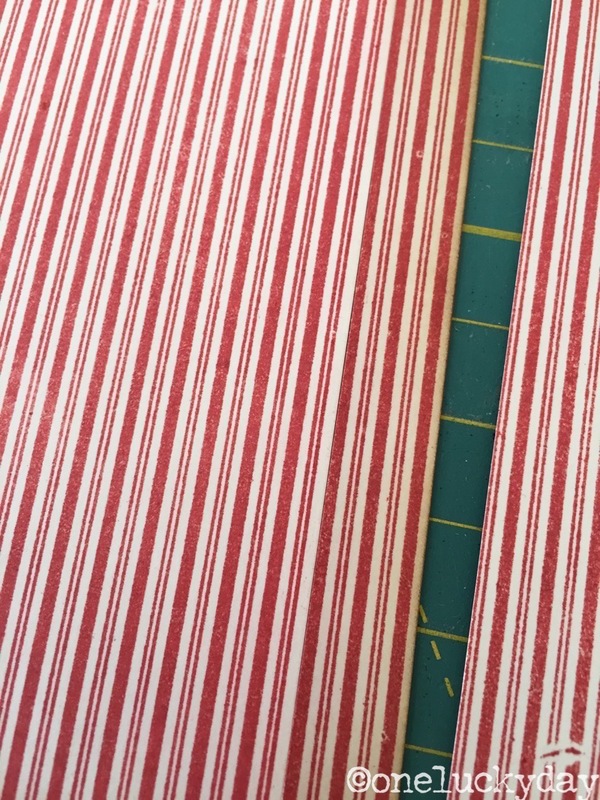 It's on the third wide stripe from the right side of the card front. I also need some Crinkle ribbon for the front. 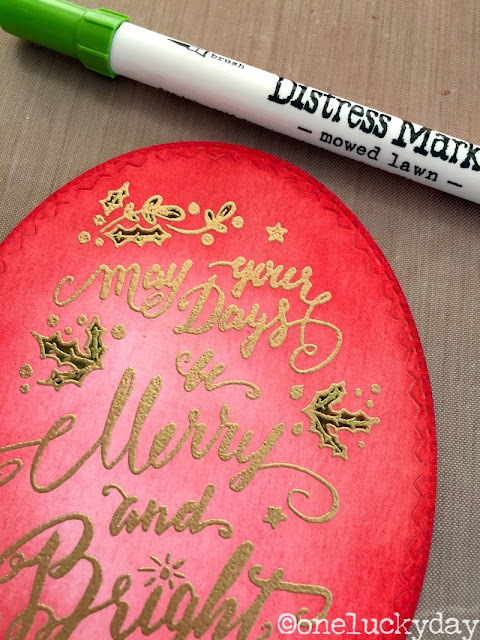 I stained it with a combination of Pine Needles and Mowed Lawn. 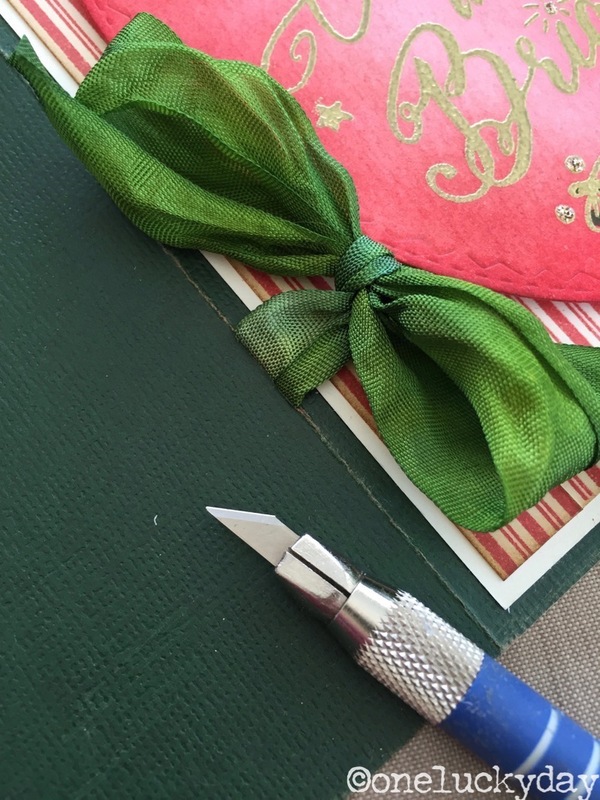 Once I put the card together, I sliced a small hole in the fold of the card to accommodate the Crinkle Ribbon. I used foam tape to raise up the Stitched Oval so the Crinkle Ribbon will be able to run underneath to the bow. 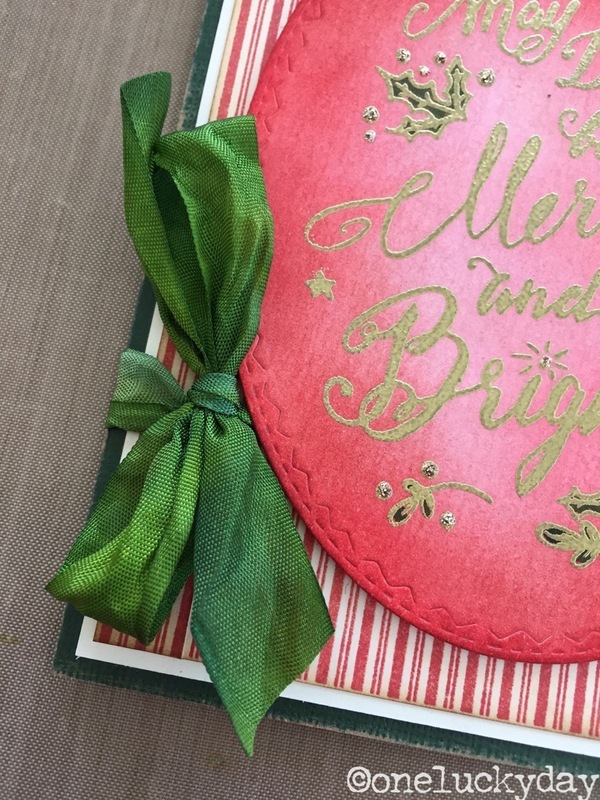 An easy, doable Christmas card that could easily be repeated for multiples. If you missed the Live Facebook event and you want to see the rest of the samples everyone made, just follow the link at the top of this post to Tim's Facebook page. You will have to scroll down a bit but the video will be there. I'll be back in a few days with another of my cards! Oh I don't know if I can stand my own giddiness watching your process... it's Beautiful ! Gorgeous as always Paula! Love the bright red too. 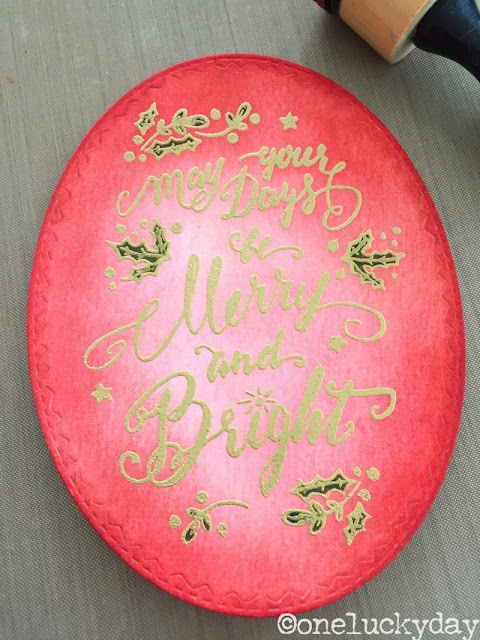 Beautiful card Paula! 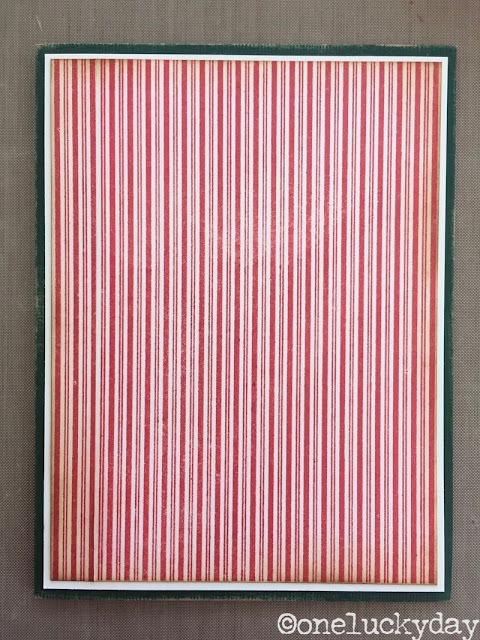 Love the stripes background. 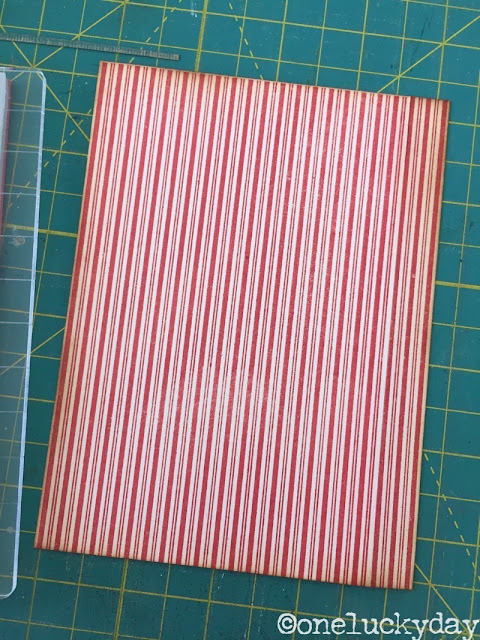 When I first saw this card on Tim's Facebook live event, it really caught my eye. I love the pinstripe background, that red to faded vignette, with the gold embossing and finished off with a gorgeous green bow! Absolutely beautiful, as always Paula! I think I need that stripes background! I see many uses for it. Your card is beautiful, as always! Beautiful card - I seriously cannot tell where you pieced that background together. 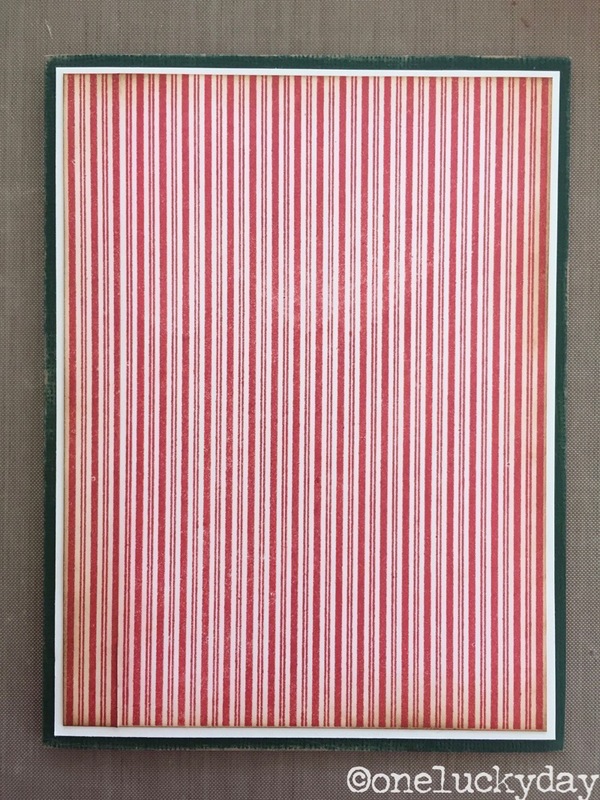 Love the striped background. I know! It made me so happy!! Great card...would you mind telling me the size of the card please...thanks! Charlotte the card is 6" tall and 5" wide. 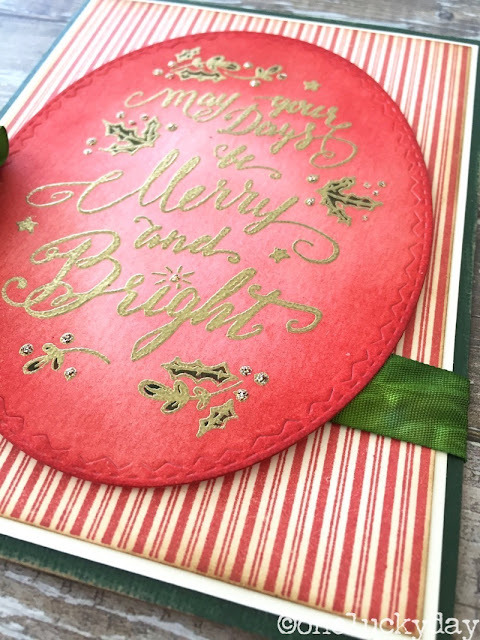 A wonderful card!!!!!!!!!!!!!! I never would have guessed the background was pieced - wow!!! You are getting me in the Xmas mood! Thank you for your always fabulous tutorials. LOVE the coloring in of the leaves and multi tones of red! Very striking and FUN card! You are so inspiring!